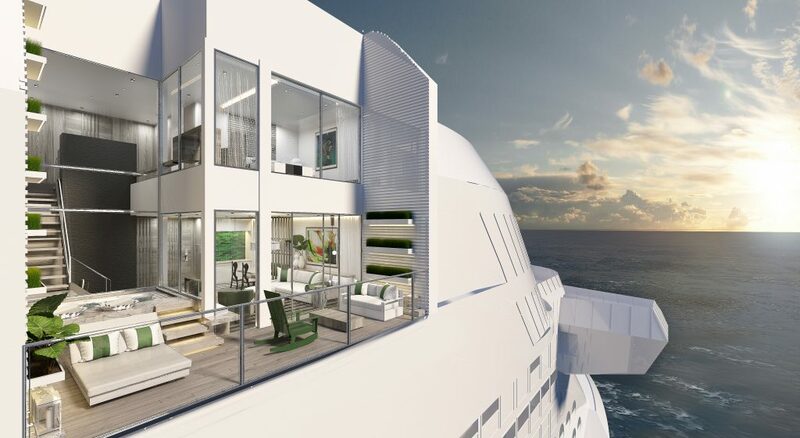 Introducing Celebrity Edge, the first in our new class of ships designed to leave the future behind. Every step of the design was done in 3D. Every detail fine-tuned to perfection. 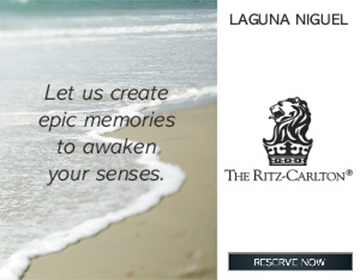 Every space rethought from the ground up to connect you to the sea and the places you’ll visit like never before. 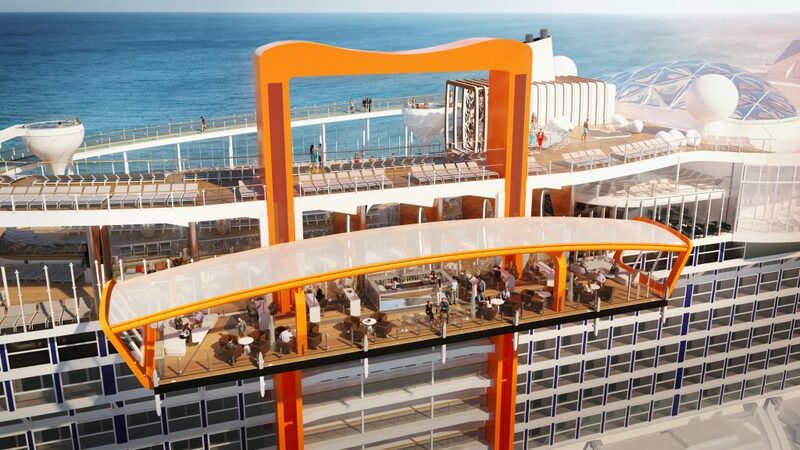 In fact, as its name suggests, everything about Celebrity Edge has been taken to the leading edge of possibility. 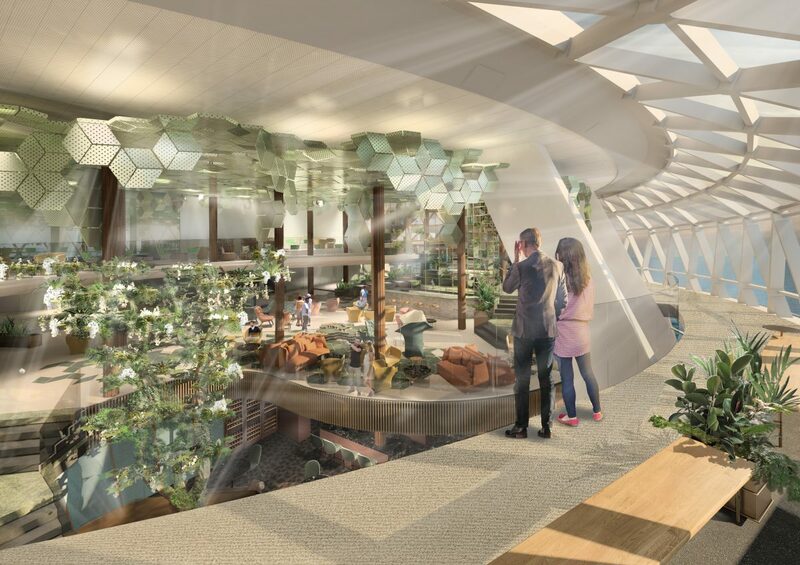 Celebrity Edge offers two new Iconic suite categories are the largest and most luxurious suites in our fleet, positioned above the bridge for panoramic views. And, six airy Edge Villas, our first ever two story suites dazzle with soaring windows, private terraces and plunge pools. 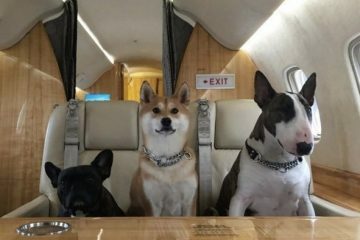 They give you direct access to The Retreat, a new area for all Suite Class guests that also features a private restaurant and exclusive lounge with concierge service. 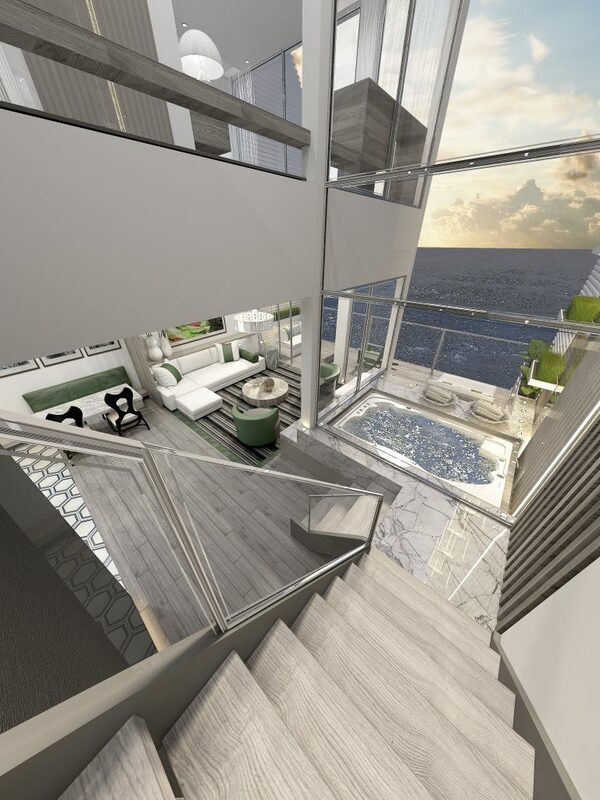 The Iconic Suite is a new Edge-exclusive Suite Class category available on Celebrity Edge. 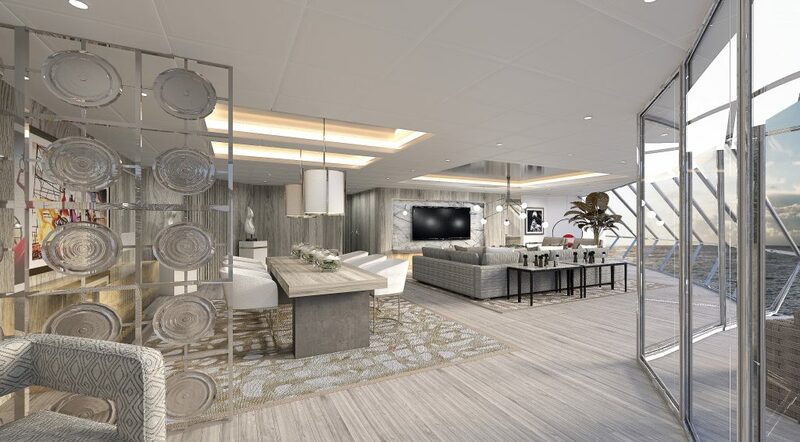 It’s the highest level of suites available and is the absolute pinnacle of modern luxury. At more than 2,500 sq. 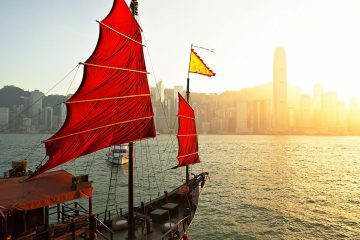 ft. situated above the bridge of the ship where the captain resides, the suite promises the most breathtaking views onboard the ship. There is also 82 linear feet of panoramic glass enveloping the entire dining room, living room and bedroom. The Iconic Suite veranda, adds another 700 sq. ft. to the grand total space of the suite. Sitting atop the wing of the bridge, included is a private hot tub, shaded resort-style cabana and sweeping views of the ocean. Another new category of suites is the two-level Edge Villa, offering stunning outward-facing views. There is a private plunge pool with walk-out access to The Retreat Sundeck. The Retreat Sundeck is reserved exclusively for the Edge Villa guests. The Edge Villa has two stories of windows with the two-level atrium stairway looking out over the terrace. It features a three-foot-deep plunge pool with beautiful lounge furniture. The incredible ocean views are seen from almost every area in the Edge Villa. The open and airy environment truly invites the outside in, and vice versa. 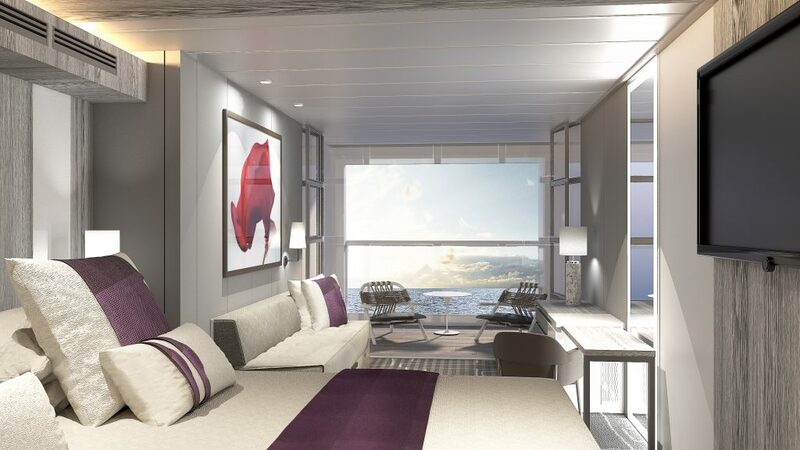 The most transformational aspect of the new stateroom design is the introduction of the Edge Stateroom with Infinite VerandaSM. With the touch of a button, the entire living space becomes the veranda, letting guests walk right out to the water’s edge. The Retreat Sundeck rivals any high-end resort in a chic atmosphere. The lounge area includes the Retreat Pool and the Retreat Pool Bar. There is stylish furniture, a hot tub and a full-sized pool. Hanging chairs provide guests with the ultimate of relaxation while water laps beneath their feet. Shaded resort-style cabanas have panoramic views on the forward end of the ship. The Magic Carpet makes Celebrity Edge’s distinctive, sleek profile recognizable from miles away. 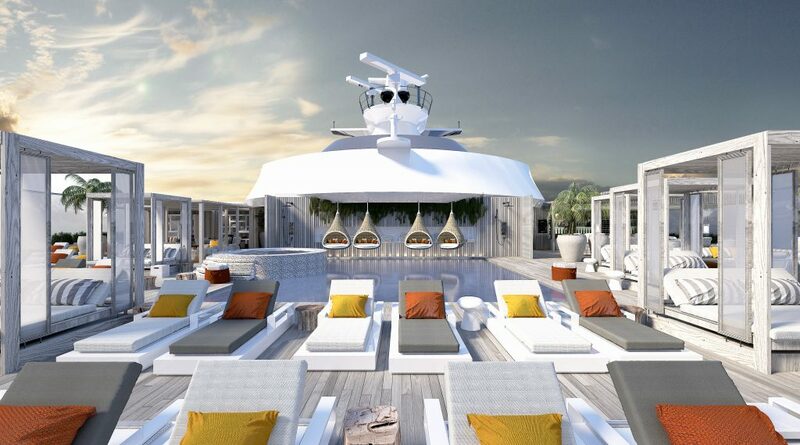 Perched on the starboard side of the ship with its stunning, open-air panoramic views, the Magic Carpet is designed with a yacht-like casual vibe with comfortable seating and a full bar. There is space for live music performances making it the place to see and be seen. The Magic Carpet is the size of a tennis court is the world’s first cantilevered venue that travels 13 stories.